Orca Aware: See No Orca, Love No Orca? 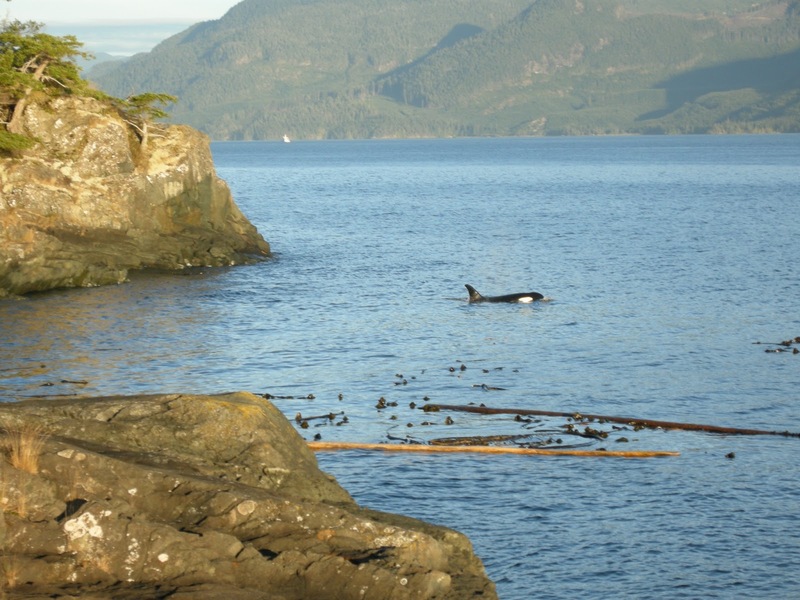 At age 7, I watched a well known and much-loved film about a captive killer whale who is given back his freedom. Captivated by their intelligence and thrilled by the excitement of the film, I instantly fell in love with these majestic black and white giants! Fast forward 10 years and I was to be found training to be a Marine Mammal Medic with British Divers Marine Life Rescue, hoping that it would give me some more insight into the mysterious lives of marine mammals. It is hard to put into words how, but despite having still never seen a live whale or dolphin in my life, they had managed to steal my heart and capture my imagination. At this point, I probably would have jumped at any chance to see these animals, be it in the wild or captivity. Several years later, studying Animal Behaviour Science at university, I took every opportunity to bring marine mammals into my coursework even though my degree focused mainly on domestic animals. When I was finally offered the chance to swim with captive dolphins in Dubai for my birthday I already had an uneasy feeling - and a little further research quickly made me realise that this wasn't the most amazing birthday present ever. It was probably the worst. And having realised this in time, I didn't do it. But I did do more and more research into the subject and it soon became clear to me that all cetaceans - and especially killer whales - should not be kept in captivity. I will always remember finding the minimum tank size requirements for the first time and after a few calculations deciding that it is equivalent to a human living in a small touring caravan, unable to leave, for the rest of their life. When you realise that wild cetaceans can swim vast distances in relatively short time periods, it is blindingly obvious that this is inhumane. A year after graduating from university, a number of significant changes in my life led me to pursue the dream that had been lurking in the back of my mind for some time. So I booked flights, packed my bag and headed to Quadra Island, a small island nestled between mainland British Columbia and Vancouver Island, Canada. Just a matter of hours after arriving I had my first encounter with killer whales. 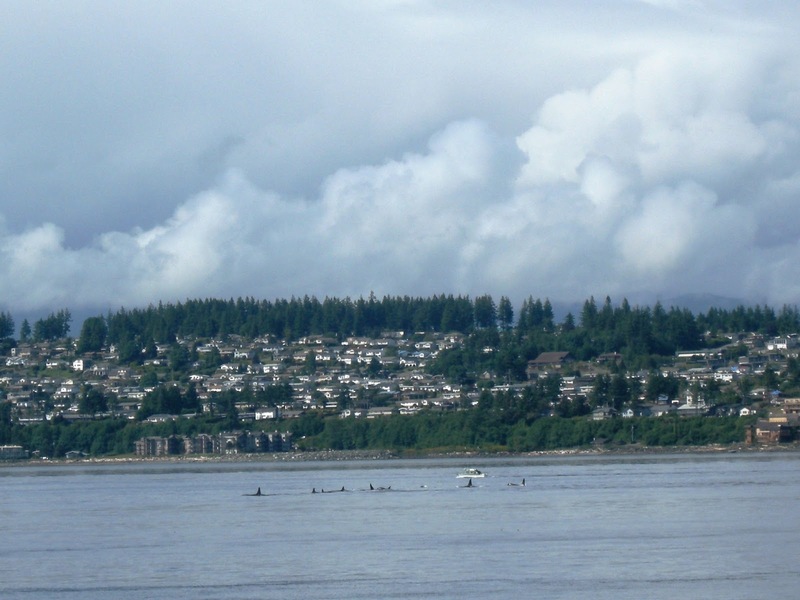 A group of three Southern Resident pods took a route coming down the inside of Vancouver Island and right past Quadra. If I had loved and wanted to see killer whales before I arrived in Canada, it was nothing compared to how I felt after I saw them for the first time. I might have already ticked off number 1 on my 'to do' list, but I was hooked and I absolutely couldn't wait to see the whales again. Next time I vowed not to forget to pick up my binoculars in the rush! I did have to wait a few more weeks for my next encounter, but these weeks were filled with wonderful experiences and sightings of black bears, seals, sea otters, Pacific white-sided dolphins and humpback whales! 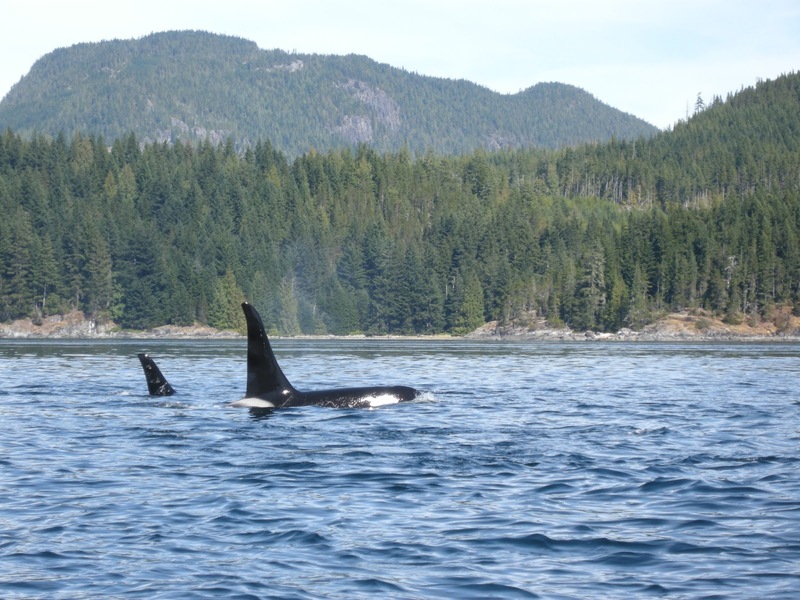 And so those weeks flew by until one evening, camped on a beach on Hansen Island, looking out over the Johnstone Strait, I watched the first of the Northern Residents who had returned to the area for the summer. Over the next couple of months I was lucky enough to have some close-up encounters with several pods of Northern Residents, watching them from campsites, from boats and even from a kayak and listening to their fascinating calls on a hydrophone. Although just as magnificent in their own way, they seemed somewhat more reserved that the Southern residents who I saw engaging in more lively behaviours such as breaching and tail slapping. 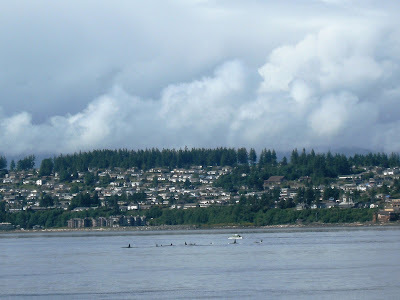 I was also lucky enough to see the more elusive transient killer whales on one occasion. Each encounter was thrilling in it's own way, but my favourite was when a young Northern resident decided to change course and headed towards our boat to investigate, passing right underneath! Part of the magic was meeting other people from across the world who held the same dream as me: to see wild killer whales. There is nothing like the thrill of hearing a blow in the distance, and sharing the excitement of those around you makes it even more special. I think that my own experiences, and those of the other people that I met go to show that you do not need to see these animals in the flesh to love them and want to protect them - we all already knew that they were special or we would not have made the journey to witness this for real. 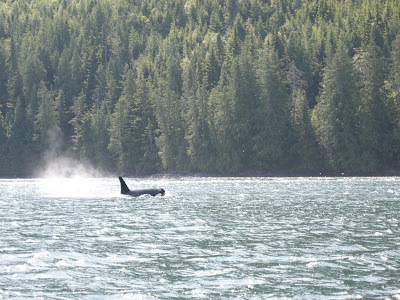 My experiences with orca have been amazing and I have been incredibly lucky to see them. Seeing them in the wild confirmed what I always suspected about these magnificent animals, but my love for them has always been there. Part of the magic was meeting other people from across the world who held the same dream as me: to see wild killer whales!http://hotelscan.com/city/kinghamlike to travel! !